What if I say, you no need to spend your hard earned money on Moisturizer to smoothen your body. And, would you even believe me? I know you won’t. But, why am I saying this? Because I am going to share the best & top 15 soap brand which work as a moisturizer and you won’t feel like buying moisturizer separately. We all know that this is the era in which every person is very much concerned about their looks and their skin, so they would always want to try best and reasonable products to use on their skin which will give them the smooth as well as a moisturized skin without using many products at once. 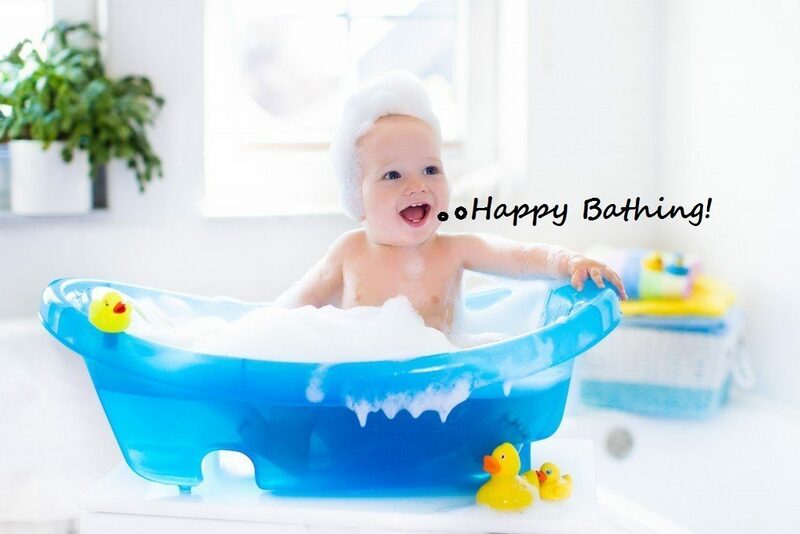 Nowadays, the usage of body washes is increasing rapidly; however, still, there are so many Indians for whom the first choice is only soap for bathing. In fact, for some, bar soap is the only product for use on the face as well. But frankly, I would not recommend using soap on face and would always advise you to choose a gentle and cleaner face wash because your face is the most attractive part and it deserves a better therapy. 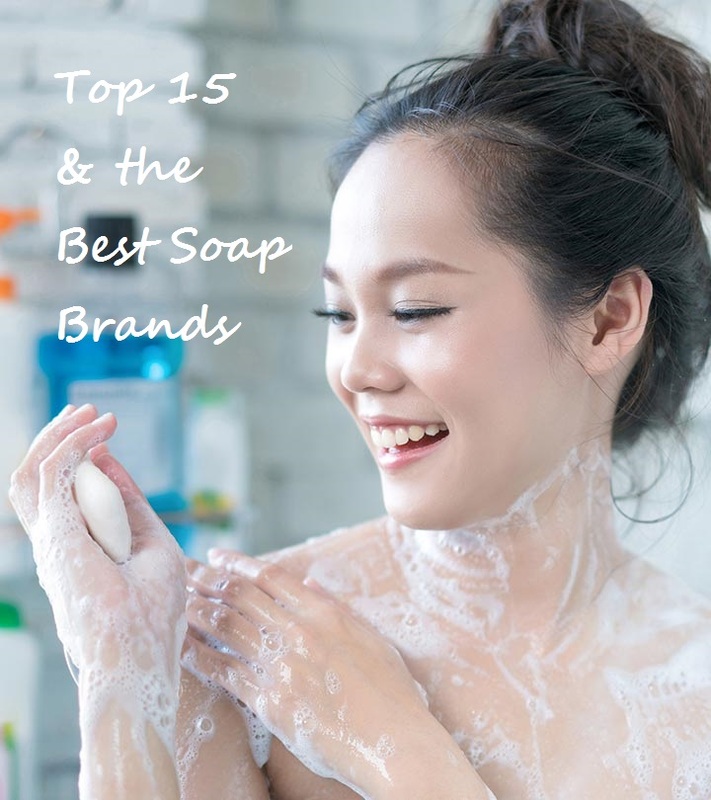 So, now, let’s get started with the best and top 15 soap brand which will give you a refreshing bath as well as a moisturized skin at surprisingly low prices! Are there any Side effects of using Soap on Skin? Soap is not bad for your skin, but if you are using regular soaps, it may remove natural skin oils that protect our skin as soaps are too alkaline, and on the other hand, our skin is acidic. Using regular soap may also result in dry skin. So, before going to buy soap, it is always advisable to select the right product which will suit your skin type, and to easier your work in selecting best soap, I have compiled the list which is mentioned below. Dove is a very popular and first soap brand to introduce a moisturizing soap with 1/4th of milk. I guess, even if I don’t explain anything about this brand, still it will be the best one. 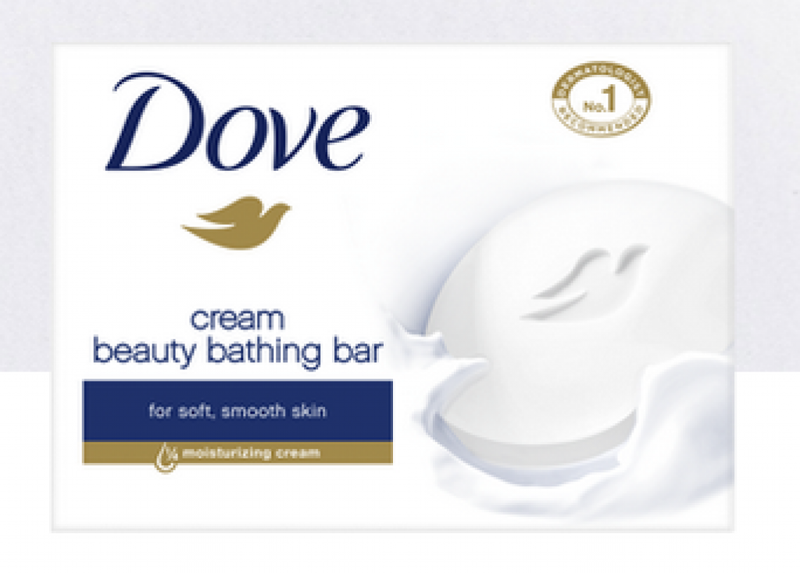 The Dove Cream Beauty Bar helps retain your skins natural moisture leaving you with softer, & smoother skin. It also leaves behind a mild aroma. It is made of gentle cleansers and gives your skin the gentle care it needs. The price of the 100gm each is Rs. 48. I would suggest you add this Bar to your routine and see the tender care and love it leaves your skin with. 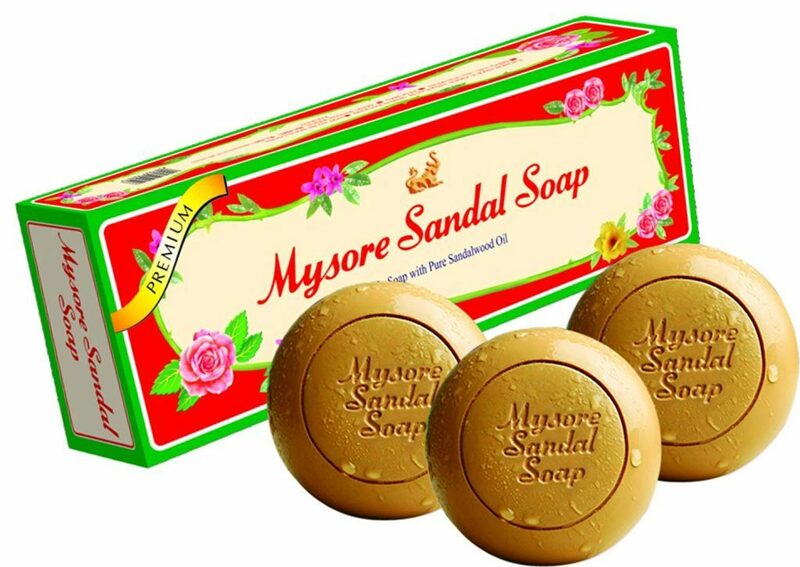 This is another classic & the most popular soap brand in India, which emanates the lingering fragrance of sandalwood. Being enriched with pure sandalwood oil, glycerin, and vegetable oils, it moisturizes the skin beautifully keeping it soft, blemish-free, forever young and beautiful and lightens its tone remarkably. The oil of Sandalwood has excellent antiseptic properties. The price of the 125gm each is Rs. 58, and you should try this bar if you really love the fragrance of sandalwood as I do. 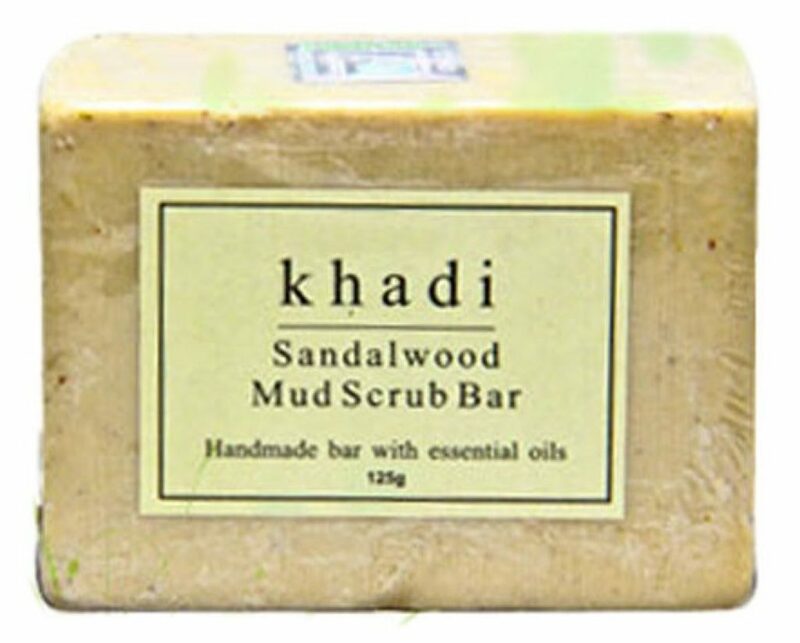 This soap brand is all natural product from Khadi. It consists of Sandalwood powder, Almond shell powder, Fuller’s earth, Reetha, Glycerin, and Camphor. It removes the dead skin and also soothes irritation in the skin. The sandalwood and the camphor contains in the soap helps in cooling down the skin and lend an alluring fragrance. The price of the 125gm each is Rs. 75, and you can go for it if you want to scrub your face along. 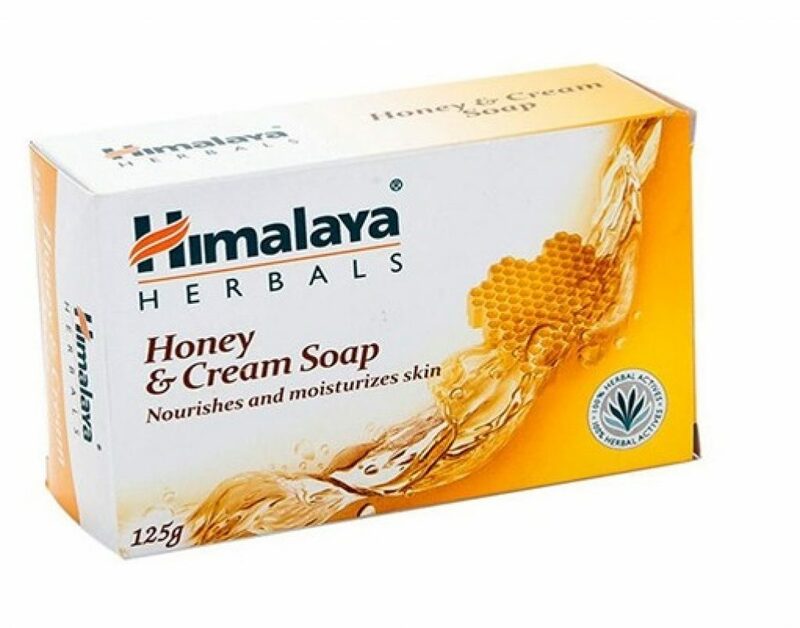 Himalaya Herbals’ Nourishing Cream And Honey Soap is a specially formulated soap brand for women with normal to dry skin types. Enriched with the natural goodness of Honey and Milk, it helps cleanse the skin while nourishing it and locking in moisture. The regular use of the soap will help restore skin elasticity while also improving your skin’s texture. It also has antimicrobial and antiseptic properties that will keep your skin healthy. The price of the 125gm each is Rs. 44 and you should definitely try this if you have dry skin. 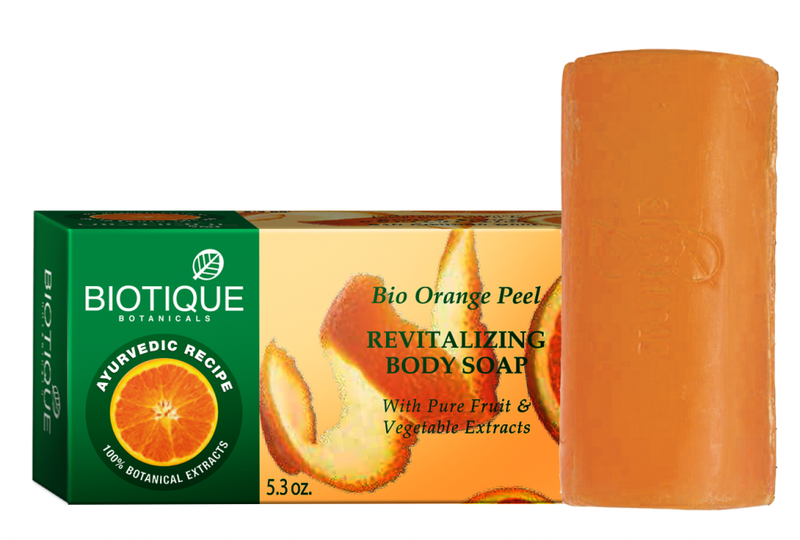 The revitalizing soap brand made by Biotique Advanced Ayurveda is blended with pure Orange oil, Orange zest, Margosa, Walnut, Muskroot, Turmeric, and soap nut, to wash away body impurities & that too without disturbing the skin’s natural pH balance. The enzymes available in orange zest & vitamin C in oranges help slough off dead cells and revitalize the skin. The price of the 150gm bar is Rs. 90 and it will be the best choice if you are selective among only natural products. Nivea’s Creme Soft Creme Soap is formulated with Hydra IQ 24h+ moisture technology that makes skin moisturized to keep it soft and hydrated throughout the day. It also contains rich almond oil which is an abundant source of proteins, antioxidants, and vitamin E that gently foams and cares for your skin leaving it deeply moisturized. The price of the 2 bars of 75gm each is Rs. 80 which is quite reasonable and if you use it regularly, it will tackle the dryness of your skin. 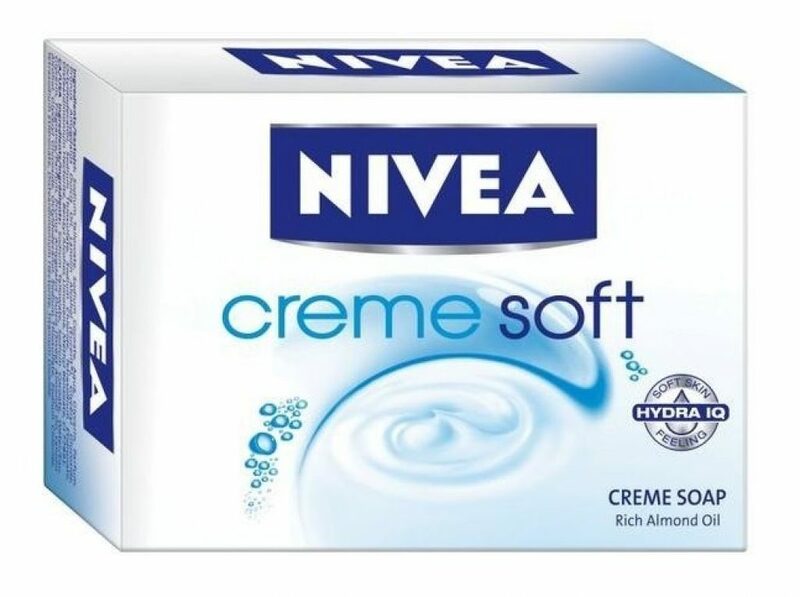 Nivea creme soft has a pleasant fragrance. It has a moisturizing effect and does not make it taut or dehydrated. You will get value for money. It also Improves skin texture. 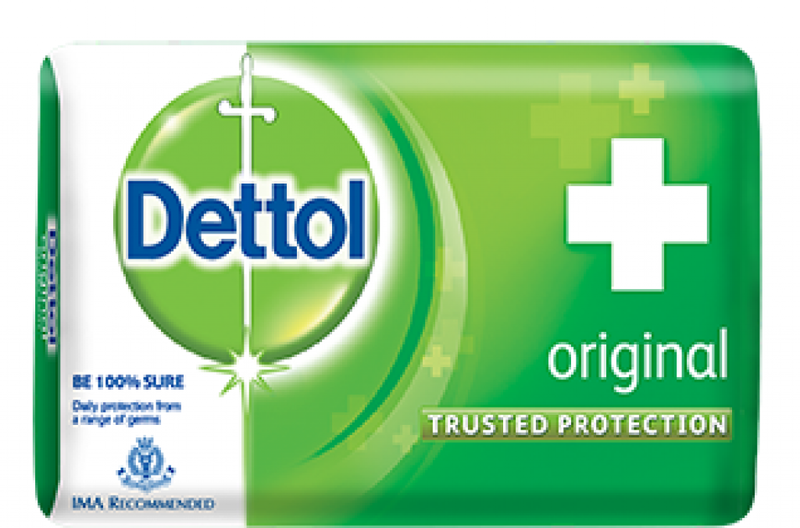 If you want to be 100% sure of fighting infections, Dettol is your solution, and it is one of my favorite soap brand. It keeps germs & illnesses at bay and maintains optimum personal hygiene. It comes with soothing Dettol aroma, and effectively cleanses and protects your skin, helping you keep your skin softer, smoother and healthy with nourishing moisturizers every day and makes you feel fresh all day long. The price of the 125gm bar is Rs. 50 and you should definitely go for it if you want complete germ protection helping safeguard yours & the family health through better hygiene. Also, To read my another article on best hair oil brands available in India, click here. 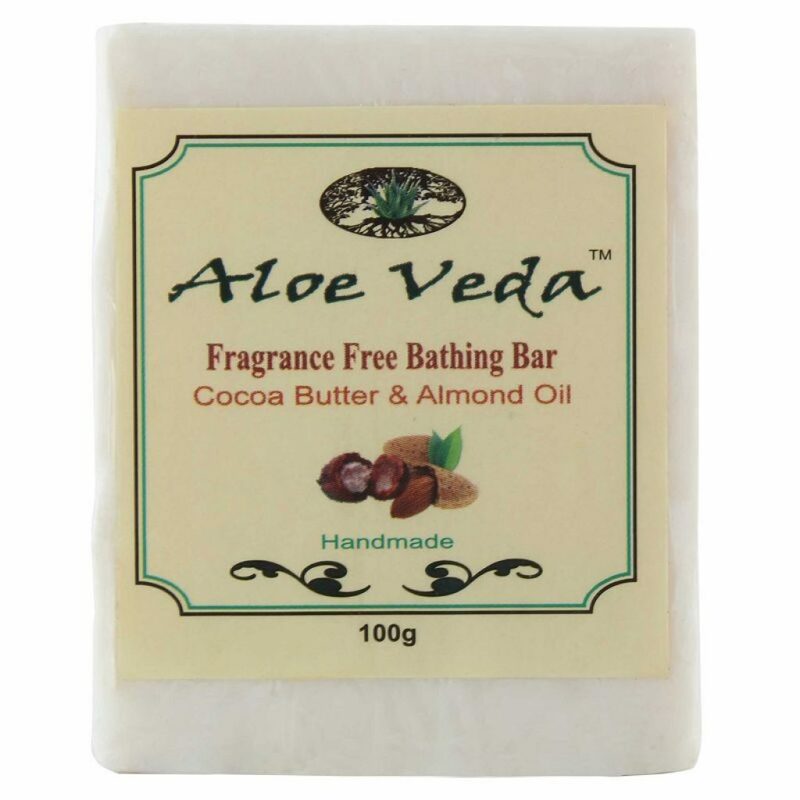 This product from Aloe Veda is Fragrance-Free which contains Cocoa Butter, wheat germ oil, vitamin E, Almond Oil, and the extracts of aloe vera. The soap is made for people with dry and sensitive skin types. It leaves your skin feeling hydrated & soft. The price of the 100gm bar is Rs. 80 and you should try this at least once if you have really sensitive skin. You try it once, and I am certain that you will buy it again and again. It does not dry your skin out. Availability of mild formula is suitable for sensitive skin. It has a nice creamy texture. 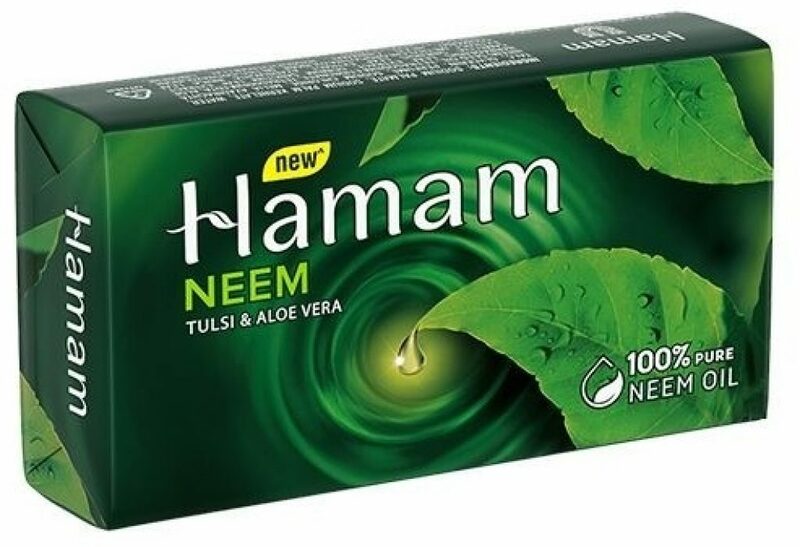 We all know that Hamam has been around for ages and this bar from Hamam is one of the best neem based soap brands in the market. It is enriched with neem, and two of nature’s most effective caregivers tulsi and aloe extracts. It does not merely cleanse your skin but purifies it. Using this soap will be the best solution to fight your skin’s battles against dust, sweat, and pollution and it is also trusted to help cure skin infections as well as breakouts. The aloe vera and polyols present in the soap also help moisturize your skin. The price of the 150gm bar is just Rs. 44 which is very reasonable, so try this New Best-Ever Hamam soap and #GoSafeOutside! Also, read Incredible health benefits of Tulsi here. 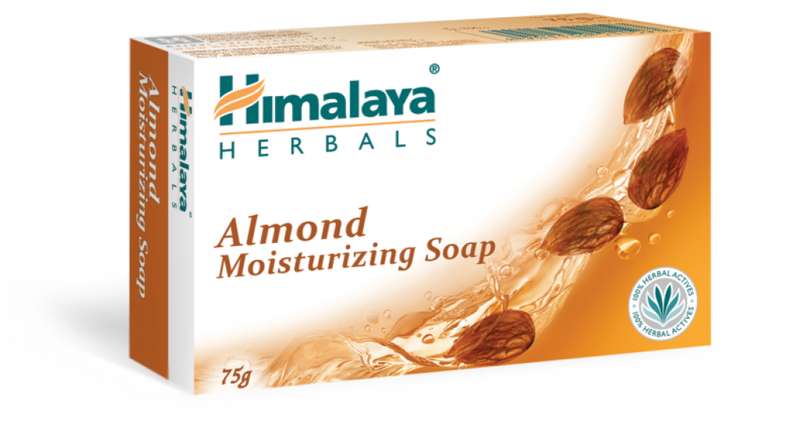 This is another excellent product from Himalaya which is made from 100% natural ingredients; Khus-Khus, Indian madder, lemon, coconut oil, almond oil, apricot, and Persian rose. The soap has a soothing effect and leaves your skin toned, supple & soft. The soap deeply penetrates into the skin & hydrate it fully. The price of the 75gm bar is just Rs. 30 which is very reasonable, so you can easily go for this natural product. It has natural ingredients & a pleasant fragrance. It leaves you with a long lasting refreshed feeling. The soap does not dehydrate your skin. Ayush is an Ayurvedic soap brand which only uses ayurvedic ingredients like Turmeric, Saffron, Cow’s ghee, Rock Salt, Cardamom, etc. to solve your beauty problems. 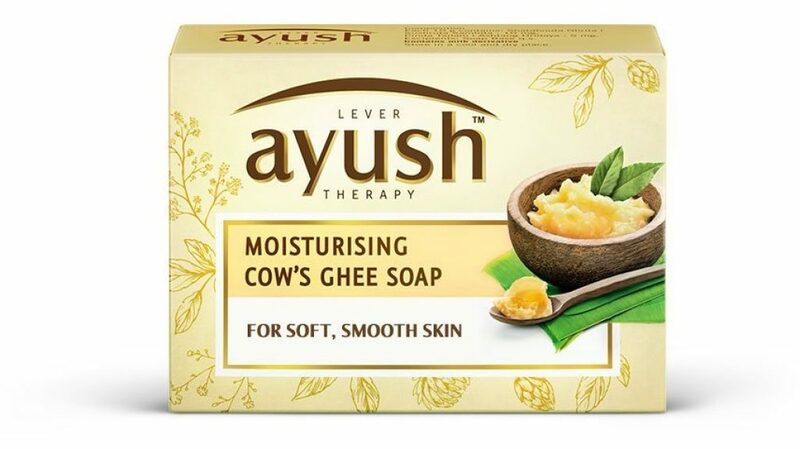 And this Moisturising Cow’s Ghee soap contains the goodness of Cow’s Ghee and Pinda Tailam. Cow’s ghee help in kills germs and gives you supple, soft and smooth skin while Pinda Tailam is a powerful blend of Ayurvedic herbs like pure Sesame oil, Manjishtha, and Sariva, which are known to cure inflammation and help retain moisture in the skin. The price of the 100gm bar is Rs. 30, and you will love this soap after its first use itself. Another soap brand of Pears, i.e., Pears Soft And Fresh Soap helps in leaving your skin feel hydrated. The pure glycerin content in it cleanses your skin and retains its natural moisture keeping it beautiful & young while the mint extracts available in it have a cooling effect on your skin. The price of the 125gm bar is Rs. 62 and this would be the perfect choice for summers. It cleanses effectively & doesn’t dehydrate your skin. It keeps your skin moisturized and smooth. 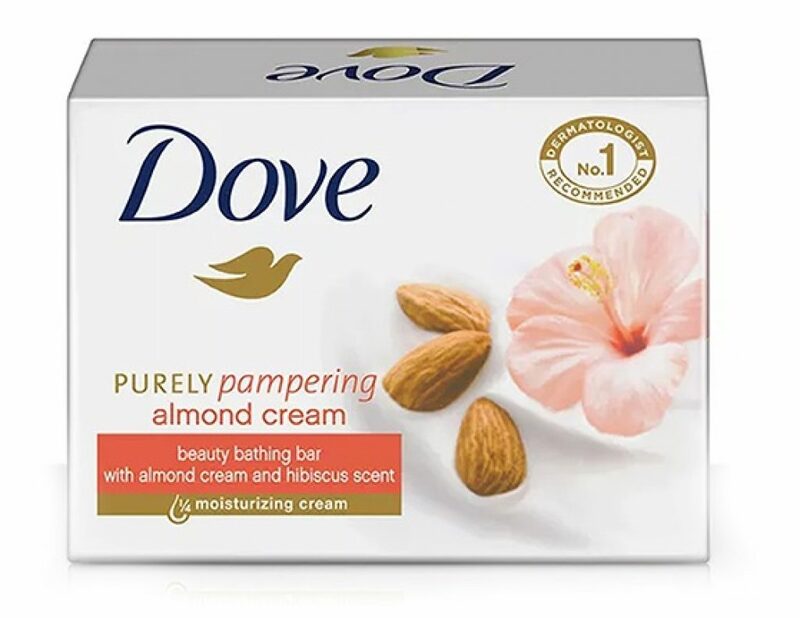 Dove Almond Cream Beauty Bathing Bar, another soap brand from Dove gives you feeling like a trip to the spa where you feel refreshed and rejuvenated, and you can pamper yourself. This Dove Almond bar brings you mildest cleansers and moisturizing cream alongside the creamy and relaxing scent of hibiscus. The benefits of Almond Cream for skin have been well known for many years: its high concentration of vitamins means that it’s prized for its moisturizing properties. The formula nourishes skin with deep moisture as you cleanse, leaving it silky, smooth, and softened. And the warm scent of hibiscus surrounds you making you feel soothed and pampered leaving you in a beautiful state of mind. The price of the 75gm bar is Rs. 49 and you can buy this without giving it a second thought. It doesn’t dry skin but leaves it softer, smoother and more glowing looking. We all know that Pears is amongst the iconic soap brand in India. 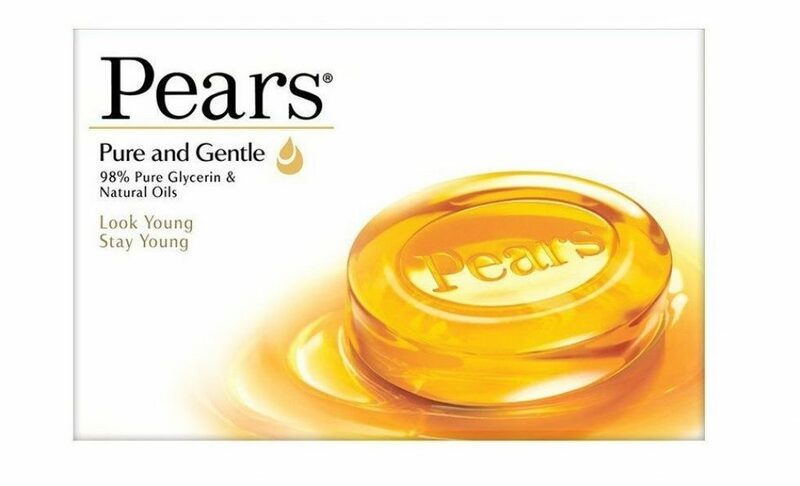 This is another Pears bar with natural oils & 98% pure Glycerin which preserves the beauty of your skin keeping it young & treats it gently. Its formulation reaches deep into the skin pores and nourishes the skin. It increases the hydration of your skin after a single wash. Pears is a sensitive way for you to attain clean, & healthy looking skin. The price of the 100gm bar is Rs. 40 and this will be the perfect choice for you if you want a radiant looking skin. 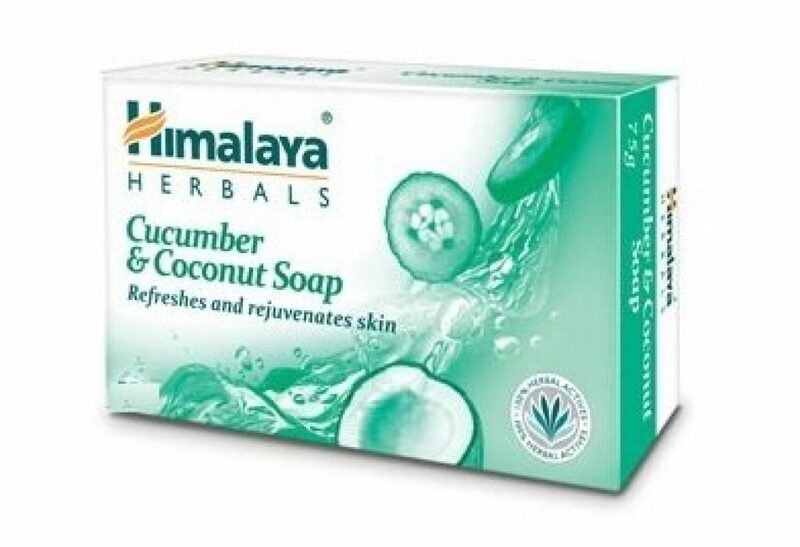 I have come up with another best soap brand from Himalaya i.e, Himalaya Herbals Refreshing Cucumber & Coconut Soap which will be the best choice for the coming summer. The coconut oil and cucumber in it gives a soothing and cooling effect to the skin while also leaving it soft & healthy. Its light fragrance leaves you feeling fresh and light throughout the day. The price of the 125gm bar is Rs. 45 and this would be another perfect choice for summers. It cleans the dirt and also acts as an anti-bacterial soap. I hope you found yourself the best soap brand which not only cleanses your skin but also moisturizes it and you won’t feel like putting moisturizer again on your skin. And, I assure you all, if you try any of the above soaps at least once, you will definitely love them and make them a perfect choice for your bathroom. Also, those who don’t love taking showers will start loving that too.